mAh per display square in. 216mAh/sqrin. 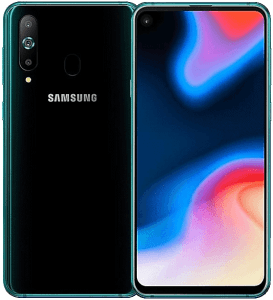 The Samsung SM-G8870 (Galaxy A8s) features a massive 6.4-inch FHD+ (2340 x 1080) display with a 19.5:9 aspect ratio and a near-bezel-less design, and it is among the earliest Samsung smartphones to offer a triple camera system, combining a 24-megapixel main cam with a 5-megapixel depth cam and a 10-megapixel telephoto cam. It also hovers somewhere between the mid- and high-end categories with its 2.2GHz (top speed) eight-core processor and 6GB RAM. 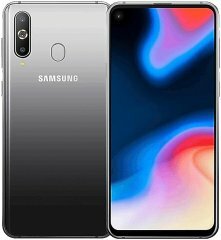 Also known as: Samsung A8s, Samsung SM-G8870. 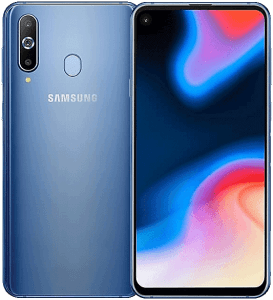 Specs-based Pros and Cons The Galaxy A8s is an imaging-driven smartphone whose pros include a triple rear camera and a 24-megapixel front cam, with cons like a 3400mAh-only power cap trying to weigh it down. We examine its other specs here. (more) New Samsung phones View all the new Samsung phones.